Not every bag has to be practical or sophisticated, you can have some real fun with your accessories and this Kate Spade bag is the perfect example with the wicker body and the fun fabric inner – it just adds some summer time fun to your outfit. 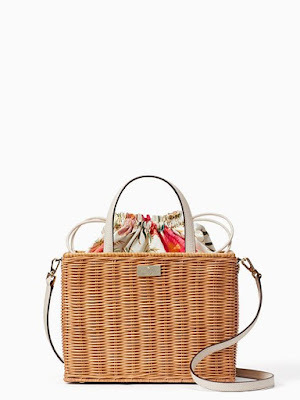 To me this bag sums up the quintessential Kate Spade fun of their accessories plus it’s very much part of the brands heritage. The story begins in 1993 with a boxy, black nylon handbag: the original bag Kate Spade wanted something utilitarian and timeless--a bag that could go with everything from jeans to a cocktail dress which the original bag did, and women and fashion editors alike swooned. 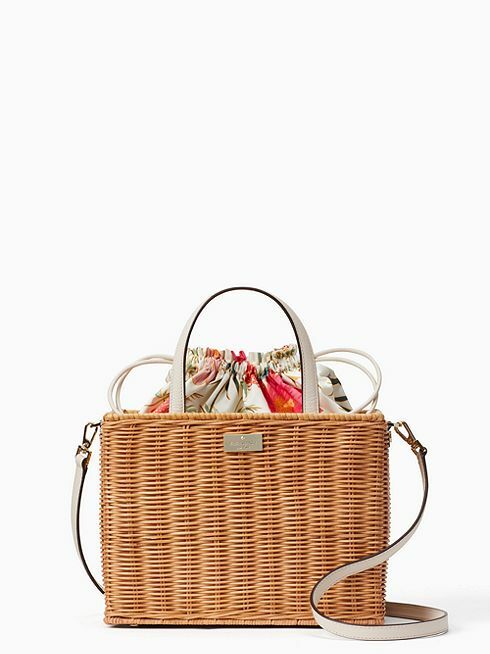 So this year for Kate Spade’s 25th anniversary, they have brought back their original bag in a bevy of colours and prints (like this picnic-perfect woven straw version with leather straps) that you'll want to lovingly hold and gaze at for years to come.